Producer turned actor Udhayanidhi Stalin, who is awaiting the results of his today released Nanbenda, simultaneously released the first look posters of his next venture Gethu. The actor who has so far played boy-next-door roles will don a powerful role in Gethu. Udhay looks furious in first look posters. 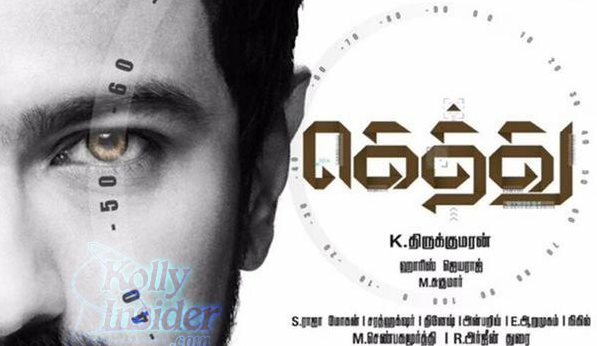 Directed by Thirukumaran, Gethu shooting is in progress. Amy Jackson has paired opposite Udhayanidhi in this Red giant Movies production film that casts Karunakaran and Sukumar in vital roles. Harris Jayaraj will render music. Udhayanidhi also has Idhyama Murali with director Ahmed in his kitty. Shooting is expected to kick start by the end of this month. Music director Anirudh Ravichander, DOP Madhi are among crew.